The Duet is another great bet type for Horse, Harness or Greyhound racing. This article written by Paul Segar and brought to you by Pureform outlines the nuts and bolts of this interesting wager. The despised Duet from TABCORP has been around for a few years now and is the topic of this article. Despised? Just about every comment heard is someting like everyone thinks it's a waste of time with only small pools and there only as a novelty bet at best with too many dividends, the list goes on. But once you get past its shortcomings, the Duet is a very useful wager. Sure there are no huge collects, no massive First Four 6 figure dividends but some nice results can still be found. The Tatts group runs a similar wager called the Any Two (A2). Arguably the Duet is the simplest of two runner one race wagers. Basically you need to take two runners, let’s say numbers 1 and 2, just to be original, with the aim of getting the Duet (A2). You will collect on the Duet if those two runners finish in the placings. In fact in an 8 starter field there are 28 duets combinations and if taking only two numbers, there is only one winning combo. So just on straight odds you have a 1 in 28 chance of getting the Duet. Not really flash odds given the likely return is often very low but in certain events the chances of picking the Duet are excellent. As a rough Duet pricing guide, multiply the two prices together and divide by 6. So a $4 chance and a $6 chance, multiply together = 24 and divide by 6 = 4, so this Duet will pay around $4 (subject to pool size, etc). Again, the bet pays on two starters running any of the first three placings in fields of 8 or more runners. It’s not a Quinella – first two placegetters in any order or an Exacta – first two placegetters in the correct order. The Duet simply requires two of the three placegetters to be selected. This is why the dividends are sometimes completely mediocre. In an 8 runner field, your two selections only need to beat 5 other runners to collect a Duet with the selections maybe only running second and third. Not difficult to do but still difficult enough. The Single Duet is straightforward. Just take two runners in a Duet and there you go. You win if the two runners fill two of the placings. Nothing two dramatic about taking two runners to fill two of the placings. The Box Duet is when 3 or more runners are taken in a multiple combination. You win if two (or three) of these selections fills the placings. The following table shows the combinations for a series of runners plus the percentage of the $1 dividend for a $20 flexi-bet. The Key Duet like any key wager is where you couple one runner with two or more other runners, up to the field. 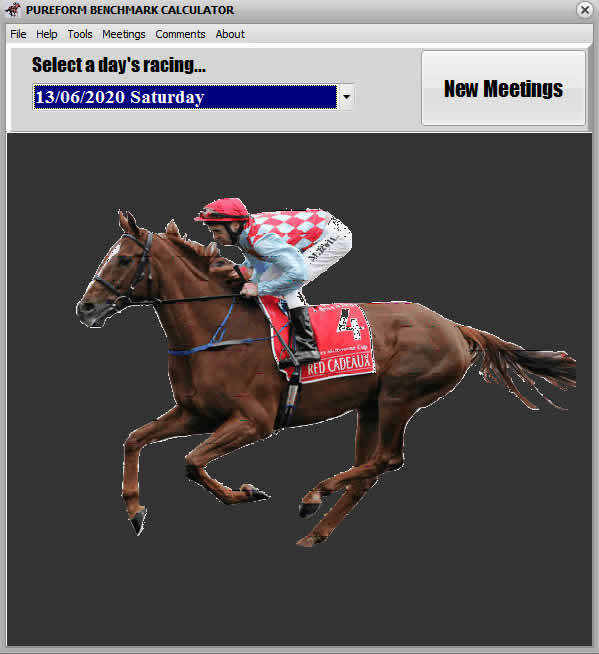 Success occurs when the key runner fills a placing along with one or two of the other taken runners. One positive aspect of a key Duet / A2 wager is the potential to collect on two dividends. These are the basic potential wagers. The bet types are easy to understand; the hard part as always is selecting the correct numbers and then selecting the best wager. As with most other multiple bet types, flexi betting is available for the Duet (A2) bet type. A bit like going to the petrol station and buying $20 of petrol, flexi betting allows you to limit the wager to a set amount rather than a dollar unit amount. It is basically the best way to wager on multiple runner events simply as you can control your outlay to an amount. The Duet is one potential bet type from a series of bet types and should be used at the appropriate time. Like many bets it is equivalent to a different bet type - a Quinella for example is equivalent (but not the same) as taking two seperate Exactas and so on. The Duet (A2) is effectively the same as a roving banker trifecta taking 2 or more runners as bankers with the field for the other placing. These bets are clearly not the same but the outcome is more or less equivalent. The big question is which one is a better wager? The Duet (A2) or the field roving banker trifecta? So a field of 8 runners taking two runners with the other 6 runners (the field) in a roving banker trifecta creates 36 combinations and for a $1 unit would cost $36. The same duet taking just two runners will cost $1 for a $1 unit. So the trifecta has to pay 36 times the Duet dividend to be a more profitable bet. To work out which is a better bet, the A2 dividend and the trifecta dividend can be compared. There are normally 3 A2 dividends (unless there is a dead heat for 3rd but that is not worth considering at this point). So the comparison depends upon the used A2 dividend. For these examples, the smallest dividend will be used. So one recent race had two $5 chances finishing first and second in a 12 horse field. The trifecta paid $233 with the A2 (from the Tatts website) paying $5.20. In a 12 horse field the trifecta has to be 60 times the A2 or Duet price (see the table). So at $5.20, 60 times that dividend is over $300. So the A2 dividend was actually better than taking a field roving banker. The other A2 dividends were higher than $5.20 making them even more profitable. A $3.10 chance with a $7 chance in another race with 13 runners paid only $3.60 for the A2 and $201 for the Trifecta. From the table the trifecta has to pay 66 times the A2 price to be more profitable, that is over $237. The A2 once again was a better dividend but only just. In a 14 horse field the smallest A2 paid $10.40 with the trifecta paying a healthy $1189. In this case, the trifecta has to pay 72 times the A2 price - this is slightly less than $750. The largest A2 dividend in this race was $24.10 which multiplied out is slightly more than $1700. So for a rough result type event, the field roving banker is a better bet. But not by much. Of course you don’t have to take a roving banker with the field trifecta and can couple selections to run particular places and so on but compared with a field roving banker wager, the Duet (A2) is surprisingly a better bet or at least comparible. The big question is when is the Duet the best bet type to take? As always this $64 question has no definitive answer as in racing there is always something better that could be done. The best strategy to apply is when you have two selections that appear likely to run well one of which may win the race but with little certainty. In this situation a Duet may be a profitable solution. Ideally the duet combinations include one short priced runner (or not) and one or more longer priced performer. There is little point taking two short priced favorites in a Duet as first, both need to run a place and second, the dividend will be at best mediocre. Similarly there is no point taking an odds on favorite in a Duet or A2 wager. Simply the dividend will be minimal at best and, the odds on fave can still run unplaced. Long shot? A key Duet with a long shot is not a bad wager compared with a place bet on the same runner. The beauty of the key A2 or Duet is if successful you collect two dividends. $60 or $70 dividends are quite common if you can snare one of those longshot placegetters. At a recent Albion dogs meeting the selection ran 3rd and paid $2.60 the place but coupled in a field Duet returned $27.80. So the field bet cost $7 for $1 and returned $27.80. A $7 wager for the place on the same dog would return around $17. Some even better results can be found in small fields if the expected results fails. In another race at the same meeting the second favorite ran second and a field Duet returned over $42. The dog paid $1.20 for the place. At a recent Coffs meeting the selection ran 3rd and the field A2 returned over $72, the place dividend of $3.70 returned only $37. The main strength in Duet or A2 betting is that selections only need to run any two of the three placings. There's nothing worse than taking Quinellas and having your selections finish first and third. This result would be a winning scenario for a Duet (A2) wager. The Duet is also a very easy bet to take and requires little placement effort. Duet (A2) pool sizes are now regularly over $5,000 so a reasonable bet can now be taken on most events. One problem with the Duet pool is, like place betting, consists of 3 dividends and so the dividend for each Duet is calculated on one third of the total pool. So a $6,000 pool effectively has $2,000 for each Duet dividend and so a long shot Duet dividend can be quickly diluted by only a relatively small wager (a $100 dividend will reduce to $50 with another $20 wagered on the same combination). The other major problem is of course the small dividends and so like most forms of gambling, chasing the mid-range results is probably the best option for Duet/A2 punting.